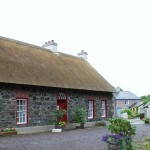 Attractive 19th century thatched cottage in a rural setting. 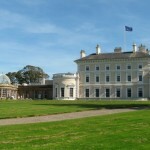 A present-day historic house in Northern Ireland. 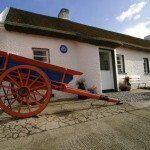 Margaret Gallagher’s home has featured in television programmes and worldwide publications and she lives in the cottage in a traditional manner. She has a cottage with a rateable value of £10 a year. What she doesn’t have, and doesn’t want, are gas, electricity, an indoor toilet or running water. 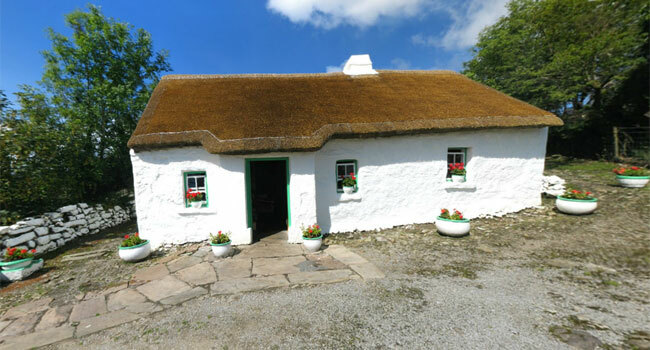 Her 200-year-old white-washed cottage is picture perfect for the cameras and a place to see in Co Fermanagh. From it, Margaret opens a window on the past, carrying out domestic chores and preparing food in the traditional way, without any of the modern, labour-saving devices the rest of us take for granted. 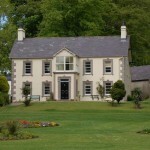 The cottage stands on a hill in the townland of Mullylusty. From her front door she can look across misty fields and blanket bog to Cuilcagh and, below it, the twin villages of Belcoo and Blacklion, one in Northern Ireland, the other in the Republic. My family will be traveling to Belcoo in July 2017 and curious whether Margaret Gallagher is still around. Would love to visit. 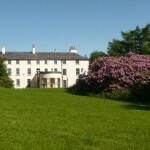 Would it be possible to visit this cottage and see Margaret? It would be much appreciated.